My research has been aimed at improving the validity of self-report personality tests by testing alternative models of the cognitive, motivational, and social dynamics underlying the act of responding to individual personality items. Factors I have studied include (1) properties of the test items (item content, wording, ambiguity, subtlety); (2) characteristics of the test-taker (cognitive abilities, social skills, personality traits); and (3) social demand characteristics of the testing context. I have been particularly interested in specifying how these three factors affect the validity of personality tests during personnel selection. I am also interested in methods for improving the validity and pragmatic utility of computer-generated, narrative personality reports for single individuals. (4) psychological factors influencing the conduct of scientific research. Gosling, S., & Johnson, J. A. (Eds.) (2010). 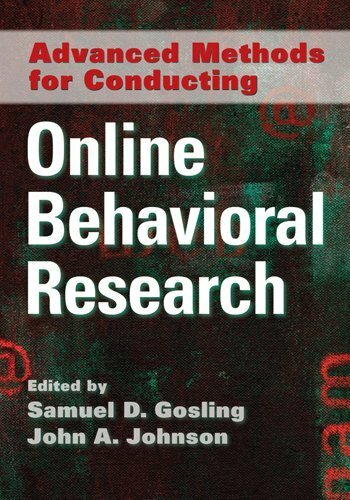 Advanced methods for conducting online behavioral research. Washington, DC: American Psychological Association. Hogan, R., Johnson, J. A., & Briggs, S. R. (Eds.). (1997). 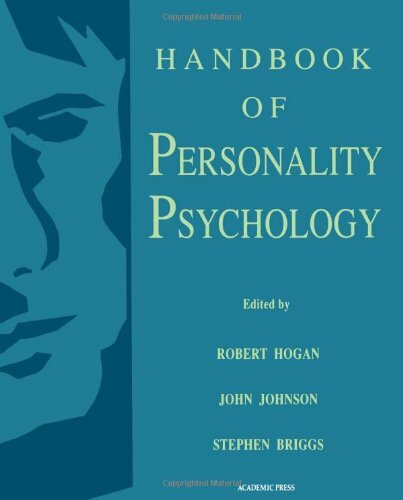 Handbook of personality psychology. San Diego: Academic Press. Buchanan, T., Johnson, J. A., & Goldberg, L. R. (2005). Implementing a five-factor personality inventory for use on the Internet. European Journal of Personality Assessment 21, 116-128. Cawley, M. J. III, Martin, J. E., & Johnson, J. A. (2000). A virtues approach to personality. Personality and Individual Differences, 28, 997-1013. Goldberg, L. R., Johnson, J. A., Eber, H. W., Hogan, R., Ashton, M. C., Cloninger, C. R., & Gough, H. G. (2006). The International Personality Item Pool and the future of public-domain personality measures. Journal of Research in Personality, 40, 84-96. Johnson, J. A. (2006). Ego-syntonicity in responses to items in the California Psychological Inventory. Journal of Research in Personality, 40, 73-83. Johnson, J. A. (2004). The impact of item characteristics on item and scale validity. Multivariate Behavioral Research, 39, 273-302. Johnson, J. A. (2000). Predicting observers' ratings of the Big Five from the CPI, HPI, and NEO-PI-R: A comparative validity study. European Journal of Personality, 14. 1-19. Johnson, J. A. (1999). Persons in situations: Distinguishing new wine from old wine in new bottles. In I. Van Mechelen & B. De Raad (Eds. ), Personality and situations [Special Issue]. European Journal of Personality, 13, 443-453. Johnson, J. A. (1997). Seven social performance scales for the California Psychological Inventory. Human Performance, 10, 1-30. Johnson, J. A. (1994). Clarification of Factor Five with the help of the AB5C Model. In B. De Raad & G. L. Van Heck (Eds. ), The fifth of the big five [Special Issue]. European Journal of Personality, 8, 311-334. Johnson, J. A., & Ostendorf, F. (1993). Clarification of the five-factor model with the Abridged Big Five Dimensional Circumplex. Journal of Personality and Social Psychology, 65, 563-576. Johnson, J. A. (1997). Units of analysis for the description and explanation of psychology. In R. Hogan, J. A. Johnson, & S. R. Briggs (Eds. ), Handbook of personality psychology (pp. 73-93). Johnson, J. A. (1994). Multimethod replication of the AB5C model of personality traits. In B. De Raad, W. K. B. Hofstee, & G. L. M. Van Heck, Personality psychology in Europe, Volume 5 (pp. 42-49). Tilburg, The Netherlands: Tilburg University Press.